The show is a totally live concert experience, with a six piece band that pride themselves on musical authenticity, and in particular the accurate recreation of the vocal talents and harmonies of the Bee Gees. 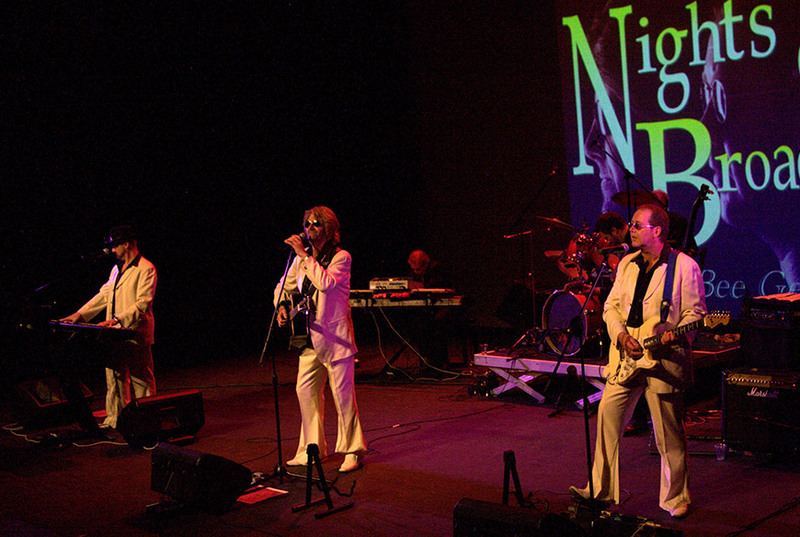 Nights On Broadway present a tribute to the Bee Gees through a fantastic live concert, featuring the Gibb Brothers incredible songs, from over four decades, from the 60s to the 90s. This show gives the audience the experience of being at a Bee Gees concert, with a unique blend of classic hits, acoustic medleys and dance floor fillers. The total song writing virtuosity of the Gibb Brothers is not neglected, where possible, guest artists complement the show, appearing as some of the musical legends, such as Barbara Streisand, Celine Dion and Diana Ross, that recorded songs specially written for them by the Bee Gees. Also known as the “Irish Bee Gees” all the performers are from Ireland with the exception of their talented English Musical Director, JBlack, who also lives in Dublin.